You can be assured that we treat your personal details, including email address and telephone numbers in confidence. We do not disclose such details to any third party or otherwise use them, except in connection with expediting/processing your orders/products. The following sections detail what information we collect, how we collect it, and how we process it. Name – As entered at point of making a purchase, starting to make a purchase in the website checkout process, completing one of our contact forms or email sign-up forms. Billing/Shipping Address – As provided at point of making a purchase. Telephone Number – As provided at point of making a purchase. Email Address – As entered at point of making a purchase, starting to make a purchase in the website checkout process, completing one of our contact forms or email sign-up forms. IP Address – As provided at point of making a purchase. Payment Information – As captured at point of purchase. Note: PB Auto Electrics does not directly process your credit /debit card details, these are handled by secure 3rd party payment providers (SagePay & PayPal) on our behalf. Company Tax Number – As provided at point of making a purchase. Personal information regarding all purchases from our website is stored in our DB for sales and VAT compliance etc. Hard copies are also stored in a secure location. When you start providing information at the cart / checkout process of our website – We process your data on the basis that you have interest in our products and services. We process it to follow up with you to check whether you had problems ordering, or if there are any pre-sales questions we can answer. When you complete a purchase on our website – We process these items as they are necessary to fulfil your order: Your name, email address, address’s, payment information, IP address and company tax number. We process these items to fulfil our legal obligations: Your name, email address, address’s, payment information, IP address and company tax number. When you fill in one of our contact forms – We process any information provided by you in submitting a contact form request, or in any follow-up conversations on the basis of consent, and being necessary to fulfil our contract to you where one exists. When you contact us via email – We process any information provided by you in submitting a email, or in any follow-up conversations on the basis of consent, and being necessary to fulfil our contract to you where one exists. In order to provide our services to you we rely on some third party service providers who may be based outside of the United Kingdom, and/or outside of the EU. This means your data may be transferred outside of the EU subject to appropriate safeguards. The following providers are currently involved in providing the services associated with this website and any contract you may enter into through it. All payments via paypal are processed via the secure PayPal payment gateway and as such no payment/card details are stored on our server. Our site is served via https to ensure safe encryption of any personal information passed to this payment gateway. 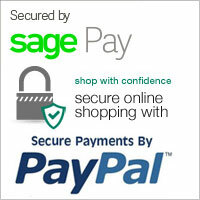 All payments via SagePay are processed via the secure SagePay payment gateway and as such no payment/card details are stored on our server. Our site is served via https to ensure safe encryption of any personal information passed to this payment gateway. 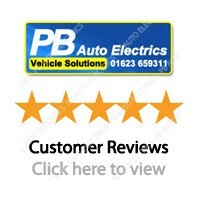 This website is owned and operated by PB Auto Electrics which is based in the United Kingdom. (Registered in England & Wales No. 379281610). You can contact us at any time in order to request access to data we hold about you, correct any information we hold about you, or request removal of any data we hold about you.